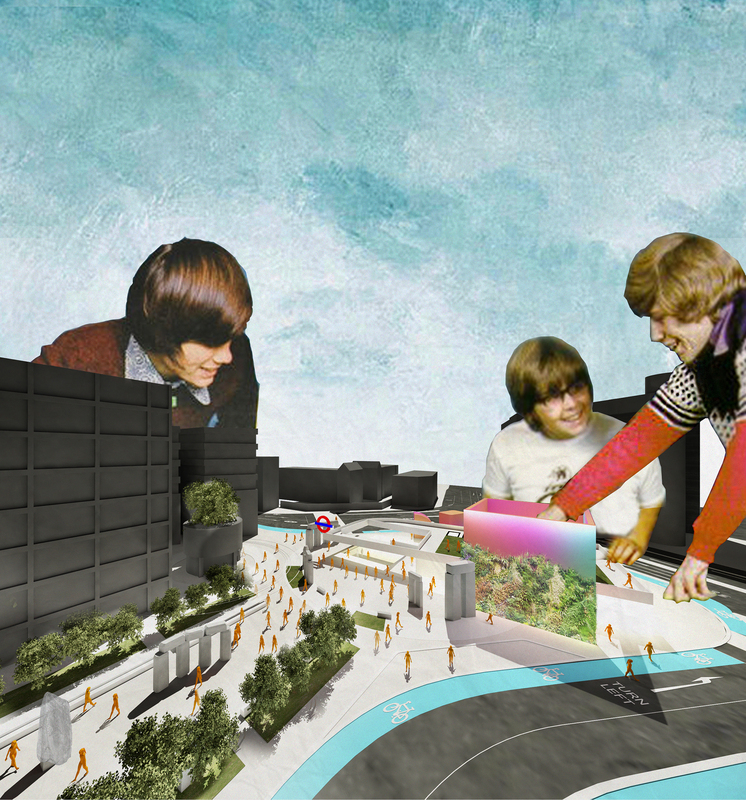 What a challenge it’s been to dissect the proposed Old Street Roundabout; the contrasting shapes and program mean that it is a very complex piece of public space. Our first move has been to remove the 2 flying arches that hold the advertising screens and replace these with a supporting structure that adds a giant new Green Wall/Lung so that the TV screens and the greenery becomes a piece of public art itself. Screening films, adverts and other digital arts and shows. The screens themselves becomes a giant piece of art rather than just a motorway billboard as it currently feels. We felt that the current flying metal structure is more suited next to a motorway or dual carriageway, not the pedestrian friendly environment that is envisaged. 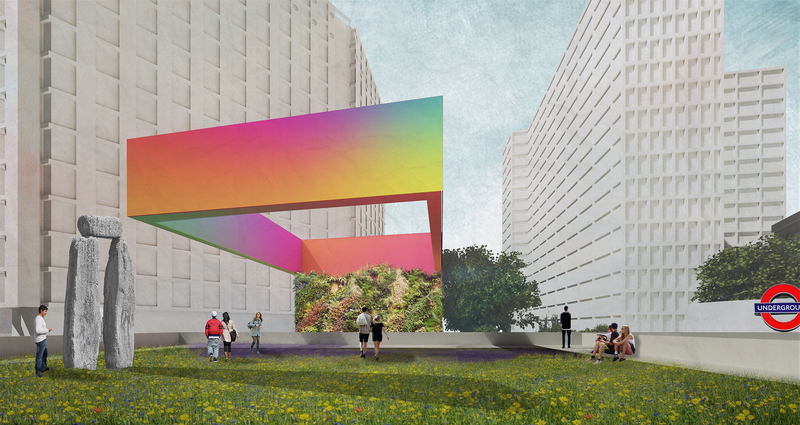 This was one of the core movements toward changing the feel of this historic roundabout. 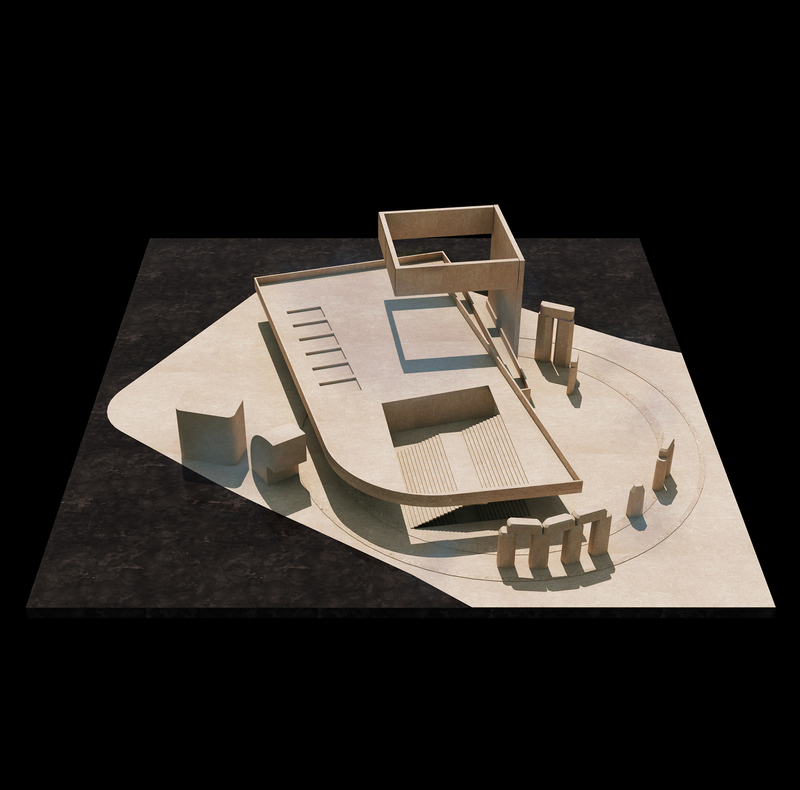 To link this new piece of public art/digital screens to the site, we created a giant floating platform that merges the proposed stadium seating above the tube entrance with the clerestory roof above the station. 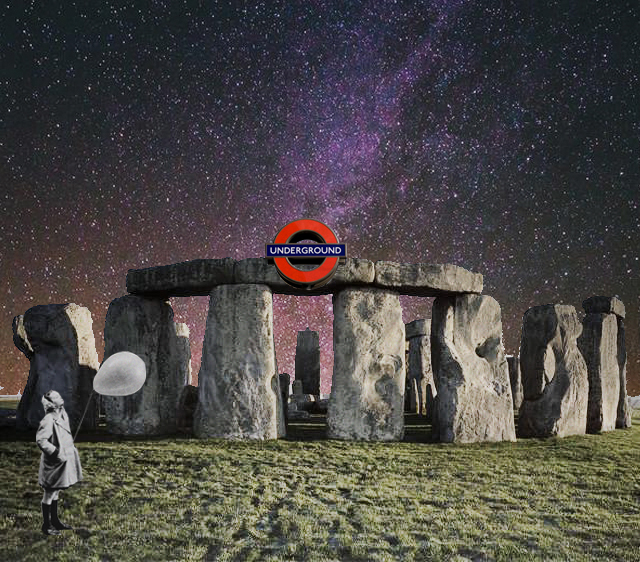 We would like to reference Stonehenge in some of its sizes and landscape design, but we also could do this in a contemporary way or even make the stones digital and interactive with lights inside or screens, there are many possibilities for this concept and we are just scratching the surface with this experiment, for the purposes of the visuals, we have simply copied the Stonehenge stones. 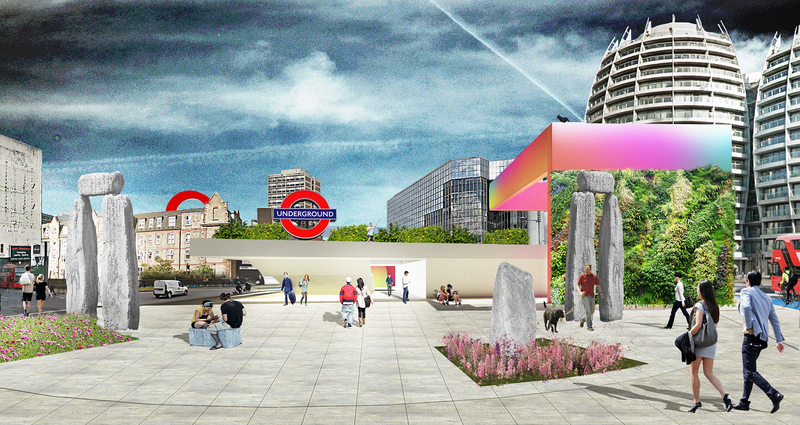 The stone circle would not just naturally signify the meeting place but become a defensive ring around the tube entrance against bad driving or other hazards, We feel strongly about the Ancient typology offset with this pure modern backdrop of the floating white platform with as much greenery as possible so that the new piece of public space acts as a green lung and people on their lunch break can now descend to this former roundabout and have lunch on the grass.